We are pleased to announce that two of Dr. R.C. Sproul’s books have been republished thanks to David C Cook and are now available from the Ligonier Store: God’s Love (originally pubslished as The Love of God) and Pleasing God. R.C. Sproul explains this most profound truth. God’s Love delves deep into Scripture to explore this dynamic attribute of God, which finds its ultimate expression in His Son. Dr. Sproul also examines the paradoxes, such as a loving God and divine hate, and how love coexists with God’s sovereignty. 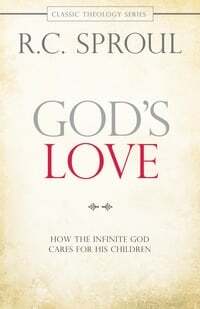 Buy God’s Love from the Ligonier Store. Sanctification is not an everyday word. It’s an idea that has little value in our me-focused, instant-gratification world. Regardless of trends, culture, or opinion, being sanctified—being set apart from the world—remains a vital part of our journey with Christ. What does this process look like? How do we begin? Is it even possible to live a life pleasing to God? R.C. Sproul believes it is not only possible, it is our calling. Pleasing God delivers an in-depth look at God’s plan and pathway for spiritual maturity. 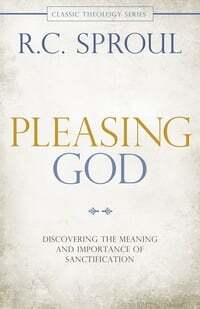 Buy Pleasing God from the Ligonier Store.